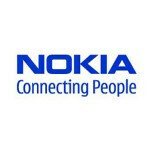 Nokia Music+ launches in the U.K.
Nokia Music+ is available in the U.K.
Nokia's subscription music service, Nokia Music+ is now available in the U.K. While Nokia Music has been available as a free service, for $3.99 a month, subscribers to Nokia Music+ receive unlimited skips meaning that you can go from track to track as often as you'd like. While those using the free service can download up to four mixes, each of which contain hours of music, and can play them even when off-line, those with the paid service have absolutely no limit to the amount of music they can download. Nokia Music+ allows users to record tunes at eight times the quality of the free version. And with the subscription service , you can set it up to only download high quality over Wi-Fi. And perhaps worth the price of the subscrprtion service alone, those signing up to Nokia Music+ can receive the lyrics to any song they play in a scrolling list, Karaoke-style format, or a display you can scroll up and down. 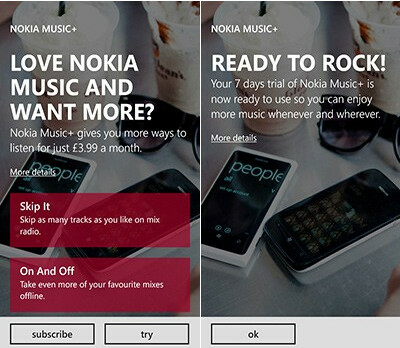 The price of Nokia Music+ is €3.99 / $3.99 / £3.99 per month. Stay away from Mickey D's once a week and you'll have the subscription funded. There is a 7 day free trial so you can take it for a test drive. Simply head over to the Nokia Music app and go to settings. And if it is supported in your country, you can update to the premium service from there. No one cares very lonly in here.